EVOline Rail for under desk installation, no more cable mess! The EVOline Rail is used for under desk installation. Specially designed for EVOline U-Dock and Express systems, they also carry loads of cables that might be present at that location. Not all power and data connections need to be accessible on the desktop. In the case of representative tables, even a completely free area is often desired. EVOline Rail helps with under-table mounting. EVOline Rail for under desk installation, no more cable mess! Bespoke profile lengths of the EVOline Rail are available upon customer request. 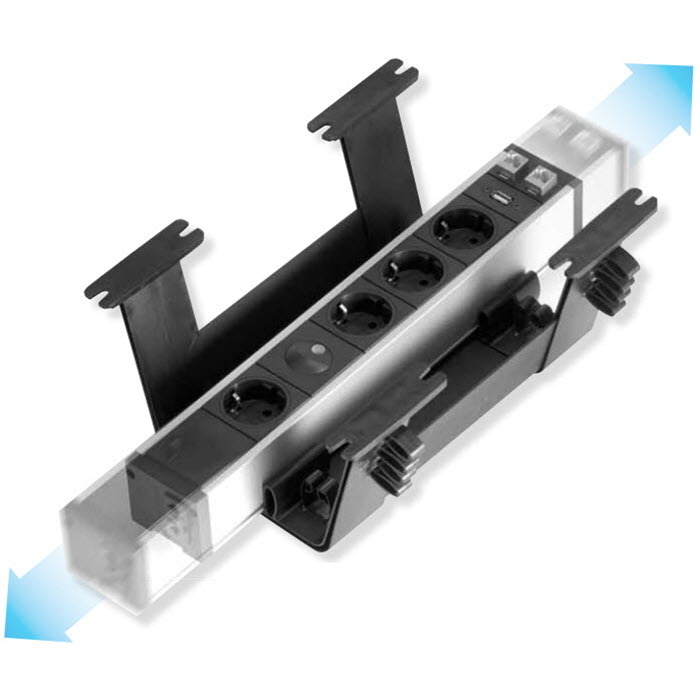 The Rail systems come with black plastic brackets and black aluminum profiles.